videolamer.com Lame Debate: Twilight Princess or Wind Waker? Lame Debate: Twilight Princess or Wind Waker? Now that most of us have had the chance to play (and hopefully beat) The Legend of Zelda: Twilight Princess, I think it’s time we had a debate. Having played both Twilight Princess and 2003’s Wind Waker, which one do you think is the best Zelda of last generation? Wind Waker was a new take on the award-winning Zelda franchise with a unique visual look that some hated while others loved. Twilight Princess brought back the same feeling we all had when we first played 1998’s seminal Ocarina of Time, but didn’t bring anything particularly new to the table. Both are amazing games, but what’s your take on the two masterpieces? Did “Cel-da” leave a bad taste in your mouth? Did Midna annoy you too much with her rude and callous remarks while riding her lupine companion? Where do your loyalties lie? Let the Lame Debate(tm) begin! Twilight Princess hands down has my vote. I played Wind Waker for 15 minutes on my friend’s gamecube and got bored with it. I think the gamecube generation of the classic Nintendo franchises I didn’t like as much as the N64 generation or this generation’s. For example- loved super mario 64, hated super mario sunshine, and I know for a fact that I will love Super Mario Galaxy without even playing it yet. I actually find it very hard to pick a vote. 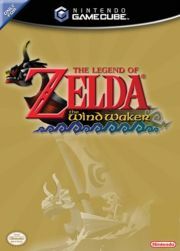 Wind Waker, in my mind, is an actual sequel for the franchise as a whole, whereas TP seemed almost like an Ocarina of Time remake. There were just too many similarities with those two games, and it felt a little unoriginal, in that "Oh man, I’ve never seen something like this before!" sort of way. I felt like I played that kind of Zelda before. Wind Waker did have those annoying bits, like the sailing and the lesser amount of dungeons, but it felt more progressive, probably based on its visual stance and the fact that it was a new land. TP had a new Hyrule, but every area that was made before was there. You had your Death Mountain, Lake Hylia, Kakariko, etc. In the end, I probably have to give Wind Waker the nod, only for the fresh new take it gave Zelda. TP is still one of the best Zeldas made, just not for the last generation. They both feel like Ocarina of Time mods. Wind Waker has the interesting graphics, but it also had the extremely annoying boat rides. Twilight Princess feels even more like OoT. But that’s ok. I vote for TP. I do have to say, however, that while I was excited about both games (I bought them both on the day they came out) I didn’t beat either of them. So I don’t consider either one that good. They feel like uninspired follow ups to a true masterpiece (Ocarina of Time). Wind Waker was short as hell if you didn’t explore every inch of the ocean, but it had a good, adventurous (eventually epic) feel. Like Matt said, even if it doesn’t directly tie in to OOT, the stories worked well together, enough that you actually cared about it. Tie in some good enough gameplay and fantastic visuals and I can’y say I was ever bored. 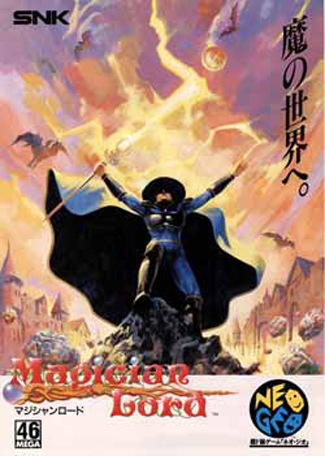 Twilight Princes on the other hand is a lot of premium game content stuffed onto a disc with a half assed story. It doesn’t feel fleshed out at all, and by the end it did not feel like what a classic showdown between link and gannon should feel like. Dare I say it almost feels like a Majora’s Mask-esque side story. Normally storylines in games don’t mean much to me, but in a game like TP with so much stuff to do, I kind of like having a reason to do so. I didn’t get that, thus I did not enjoy it nearly as much as I had hoped for.